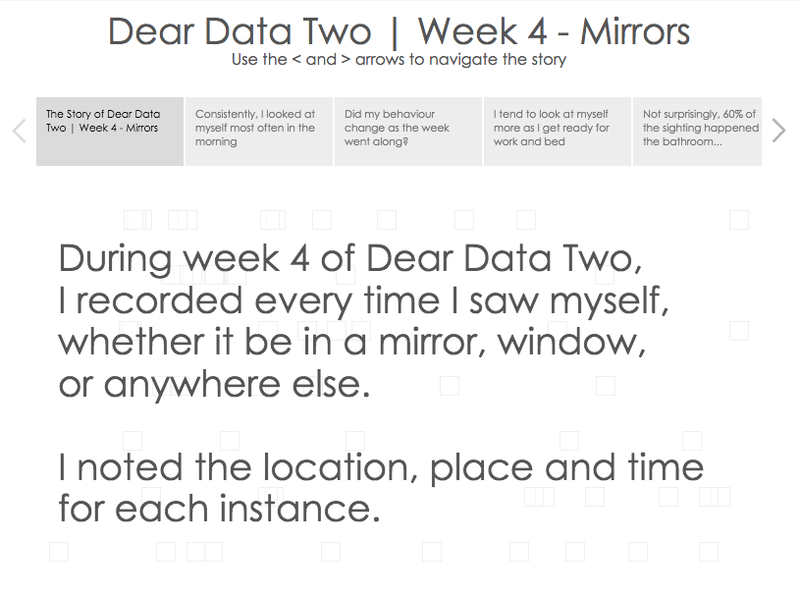 The week theme for Dear Data Two was “Mirrors” (You can follow Dear Data Two here). 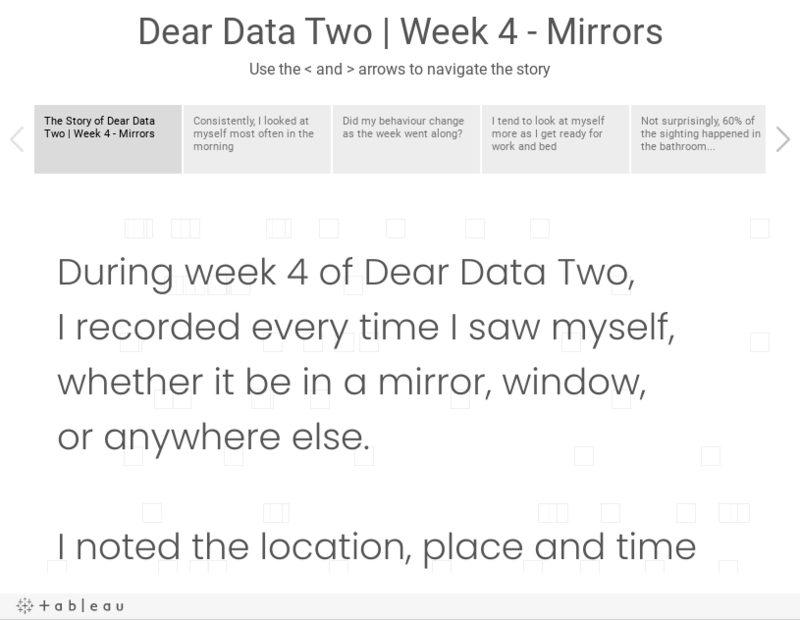 I explored the data in Tableau and created this story about my week of mirrors and reflections. This was quite a tough week from a data collection perspective. I’m not totally satisfied with my analog version, but done is better than perfect.